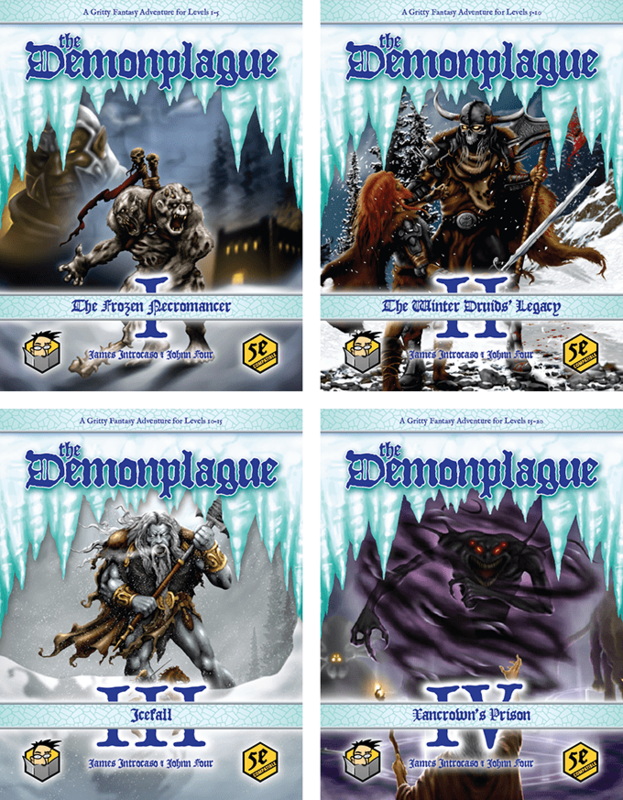 Johnn Four of Roleplaying Tips is running a Kickstarter for The Demonplague – A 5E Campaign With Sandbox & Hexcrawl. His project offers more than just adventures, it also has the tools to guide GMs in making their own epic-scale campaigns based on his decades of experience and research. He agreed to share his thoughts on the Kickstarter campaign and what makes it unique. EGG EMBRY – Thank you for doing this interview! 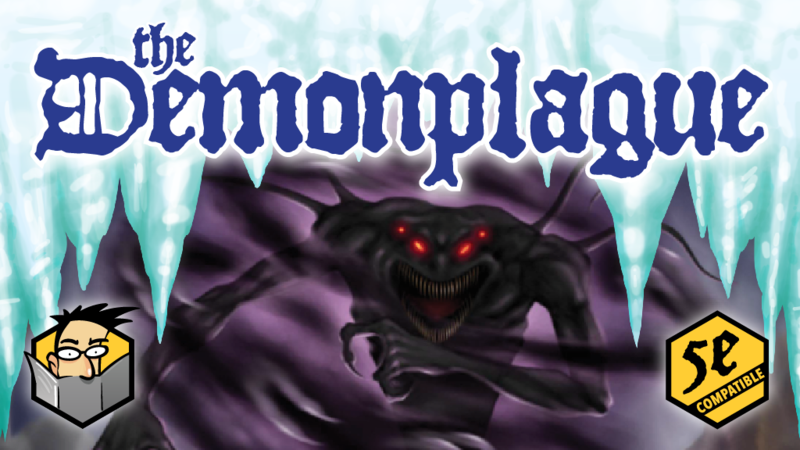 Let’s dive in, what is The Demonplague? 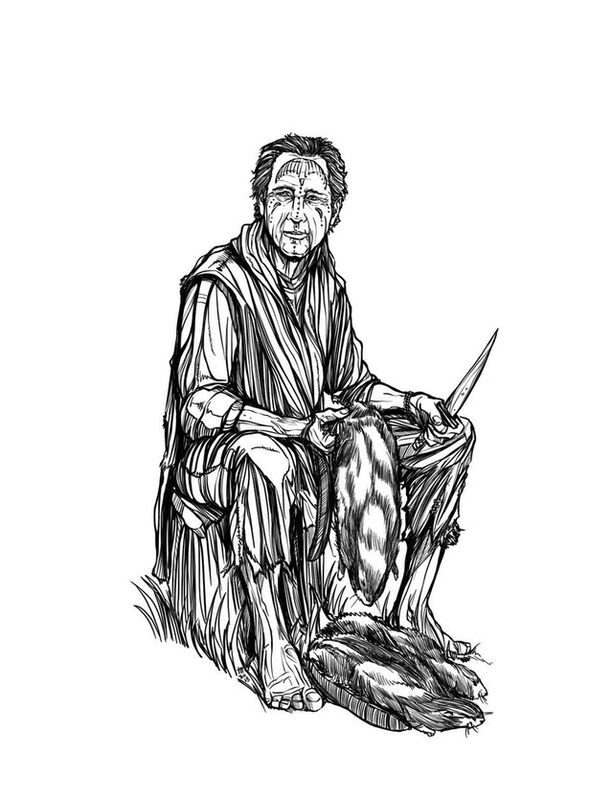 JOHNN FOUR – It’s a 5E campaign that will take heroic characters from low-level to high. What do you do when players derail your plot? How do you get players engaged with your adventures and keep’em engaged? My answers after years of studying, writing about, and teaching GM adventure building techniques is The Demonplague, co-written by DM’s Guild Adept James Introcaso. 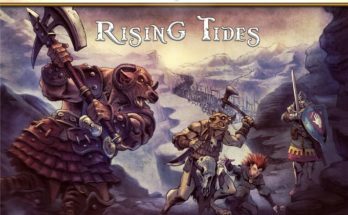 It handles the plot question with a clever mix of classic adventure plus sandbox plus hexcrawl. 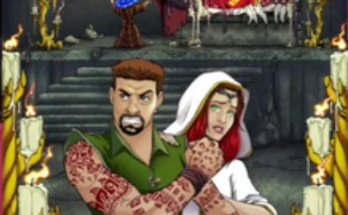 The classic adventure plot gives you a flexible spine to guide you along an epic story arc. Overlaid is the sandbox, which lures characters deeper into the Luna Valley setting with dangerous adventure sites promising great rewards and vital clues for saving civilization. And layered on top of that is a hexcrawl generation system plus a map with lots of blanks. This means it doesn’t matter what the players do, you can stay a little ahead of them at all times and use the adventure’s tools to adapt the plot arc as you see fit. 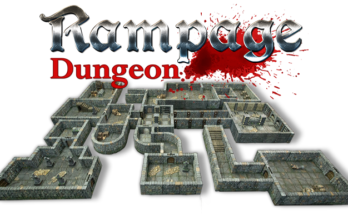 For example, when I playtested the adventure with folks at work — and most had never played a tabletop RPG before — the characters ended up giving over a ruined castle to their hated enemies without exploring the dungeon below. The adventure flexed perfectly as clues strategically delivered during battle with the stage boss meant the party had the information needed to make a choice: take back the castle or continue onward and track down the winter goblin slavers. The answer to the second question comes from the same adventure structure. The classic plot arc gives your group clear guidance on what their epic quest is about. The sandbox and hexcrawl give them freedom to choose, strategize, and roleplay. With hardly any prep, you flex with the party as the grim sword and sorcery unfolds. EGG – You’re offering 21 new 5e monsters for this project. Which ones do you feel will be the fan favorites? JOHNN FOUR – The Ralekai Zombie is pretty cool. Designed by James, it’s no ordinary undead. GMs should eagerly anticipate players’ faces when it’s fetid mouth gapes open and discharges its terrible plague breath. Another cool creature is James’ ice basilisk. I’ve always disliked monsters that whack a character that a player has invested heavily in. This nasty creature is just like a normal basilisk except its gaze instantly freezes PCs for a limited time. Perfect for scaring the characters right out of their hobnailed boots with a classic killer foe while not permanently removing victim characters from the game. I also love the winter goblins. Adapted to life on a glacier, these cunning creatures can hide in snow and suddenly strike with their ice weapons. They are not only unaffected by cold, but they will surprise even veteran players with their Cold Snap special ability. EGG – You’ve run Roleplaying Tips for some time, what is that? JOHNN FOUR – The first newsletter went out to three email addresses — mine, a test one of mine, and my backup of mine — November 1999. Coming up on 20 years. It started out as a way to gather and share GMing tips with game masters all around the world. The internet is such an amazing thing! EGG – That brings me to one of the more interesting offers with your Kickstarter, the “12 hour video course on how the epic adventure was built”. What will that piece entail and what inspired you to produce it? JOHNN FOUR – Making a homebrew adventure is tough. When I set out to create The Demonplague I had several design tools and adventure building techniques flagged. Some I read about online and in books. Several I invented myself. However, nowhere did I find an extensive, detailed, step-by-step guide on how to put all these adventure-building methods and techniques together in a systematic way built to generate awesome adventures for your campaigns. So I decided to create an inside over-the-shoulder guide as I built The Demonplague step-by-step. I shot about 12 hours of videos explaining these techniques and documenting my adventure-building recipe and experience using the recipe as I went. As far as I know, it’s the most detailed and thorough adventure building guide online (and offline) right now. EGG – Where can ready-for-epic-level-campaign-GMs and gamers find out more about you and your project? JOHNN FOUR – Some awesome stretch goals have already been unlocked. And Backers will get a lower price on the PDF and shelf-busting 372 page print version than public buyers will. Thanks for the great questions and for sharing our Kickstarter and passion-project!